Sometime soon as the week approaches its end, Stranger Things Season 2 will premiere taking with it many people’s weekends with it. 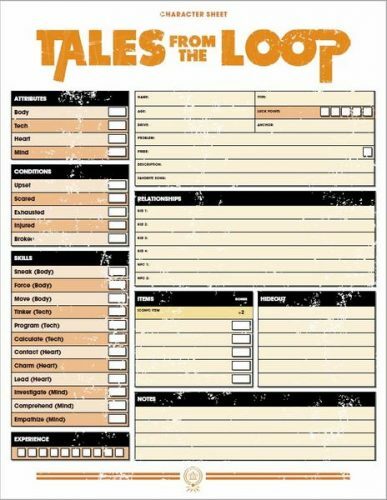 Thinking about it makes me turn my thoughts back to Tales from the Loop. I talked about how it was my favorite game I played at Gen Con here, but I didn’t get into much in the way of gameplay details. 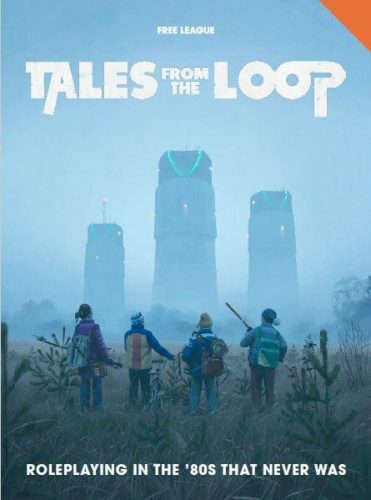 Tales from the Loop is about kids. It’s about nostalgia. 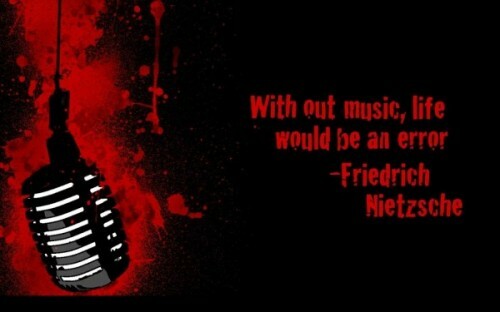 It’s about playing in a world that King and Spielberg portray. Possibly the best part of the game is the character creation. If you are a roleplayer (as opposed to roll-player) then it is perfect for you. Because, more than most games, this one wants you to develop your characters together. It wants you to come up with an idea, but then collaborate to figure out how your kid fits with the other kids. The discussion you end up having serves to help you determine why you guys and gals are actually friends. Each piece somehow builds neatly on what has come before. The game forces you to answer questions about who you are going to be playing, and by doing that, helps to bring to life a more fleshed out character. You have your base stats where you take your Age and that is the number of points you can put into your primary Skills. Then the Kid types are divided into archetypes: Bookworm, Computer Geek, Hick, Jock, Popular Kid, Rocker, Troublemaker, and Weirdo (though, a little searching on the web can reveal some additional ones players have developed on their own). Each type has 3 sub-Skills they are proficient in, allowing them to devote more points in that particular ability than others (3 is the maximum in your “Key” Skills, where 1 is the maximum in your other Skills). Then there is your Problem. Problems are the things that all kids have. Think of them almost as a way to grow as a character. It doesn’t have to be solved during a particular adventure, but it is a motivating part of who your Kid is. Which really your Drive. Why are you doing this? And what is your Relationship to the other players? Was there something in your past that forced you together? Are you siblings or cousins? Parents work together? Share detention most afternoons? All of these are valid and lend themselves to who you are. Lastly, you have your Anchor. Where the game emphasizes that you can’t really depend on the adults for much help (they are so wrapped up in their own problems), this is the one adult who actually will help, support, and comfort you. Oh, one thing I didn’t mention in the Character section is your Favorite Song. We all have/had one. Your character needs to choose one. In my mind, it’s like your walk-up music (and I could see getting a playlist with a group’s favorites and using them as potential story clues). Overall the system is pretty easy to figure out. While I have not played the Mutant Zero system that originated this one, it plays very streamlined and well (never seeming to get in the way of the Story you are trying to create). You have Skills and for each level, you have a Skill you get to roll 1-six-sided dice (1d6). Every “6” you roll is a success. For most things, 1 success is enough to get by a challenge. If you do fail, you can potentially reroll by gaining a Condition (Scared, Upset, Exhausted, Injured, and Broken). Once you have a Condition, you have a minus 1 dice for your rolls until you get to a safe space (with an Anchor or potentially you Hideout). The only time this gets tweaked a little bit are the BIG challenges (a Climax of the current story being one possibility). It is then that the Kids have to beat a particular number of successes as a team. Each one (or each subgroup) needing to accomplish a series of tasks in order to prevail. And while Kids Can’t Die… they certainly can fail. While the game comes with both a Swedish Loop and an American Loop, my guess is that many campaigns will end up creating something a little more in their backyard. For a GM, those old memories of where the old tree fort in the woods actually lies should only help integrate everyone that much more within the game. The last half of the book is for the Game Master. One is more of a sandbox style where it sets up a number of possibilities to explore with various Hooks for the players and NPCs to interact with. 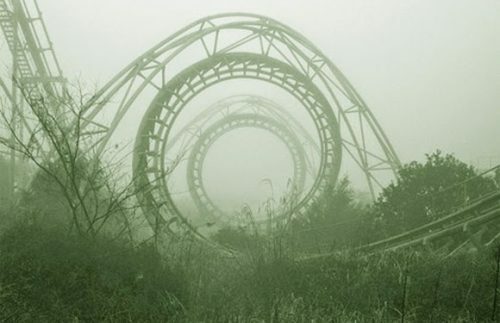 Past that are 4 scenarios (“The Four Seasons of Mad Science”) that can be played as one-shots or as part of a larger campaign. From my various readings online, it seems the majority can be played in 3-4 hours each. Overall, what is great about the game is that you can make it your own. Whether that means setting it up in the town you grew up in or inserting NPCs from your childhood or even dialing back a bit on the technology presented by the Loop and focusing more of the strange and unusual within the town/suburbs – you make it your own. And as the players get involved they help expand it into something that is everyone’s. Tagged 80s movies, game review, John McGuire, Tales from the Loop.